If you have ever experienced problems with Photoshop then help is at hand. Thanks to the awesome site College Humor you need not worry about getting it wrong in Photoshop anymore. 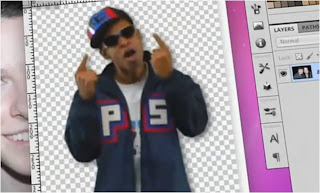 The Photoshop Tutorial Rap is all you will ever need – after a few minutes of listening to this you will be the Photoshop expert that you always wanted to be. Well, OK, maybe not. However, this is one of the more entertaining IT based raps that we have encountered recently. Hold on, it’s the only IT based rap that we have seen! Click the picture to see the video.